Just look at this picture of Petter Solberg and tell me he's not a cartoon superhero come to life. 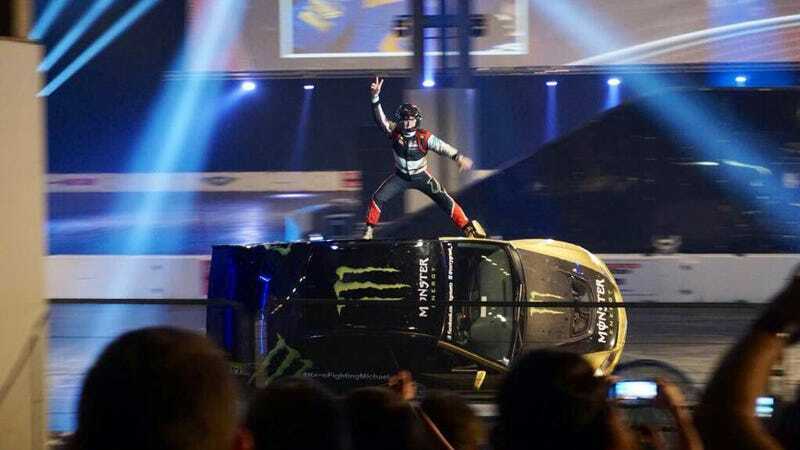 Solberg, former WRC champion current World Rallycross Champion and peerless wheelman, has a bit of a reputation for showmanship. They don't call him Mr. Hollywood for nothing.